We are thrilled to announce that Driven: Six Incredible Musical Journeys by Nick Romeo is now available on Amazon! 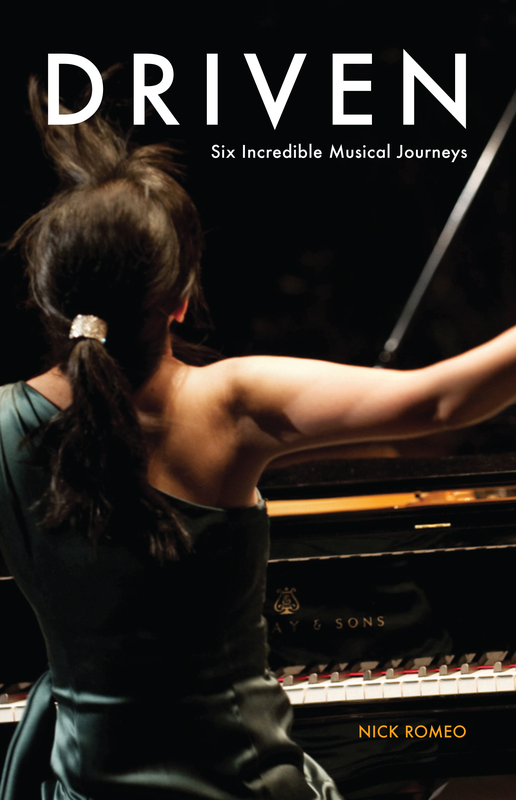 Over the past few months we’ve been working with Mr. Romeo to publish this book, which follows the musical careers of six exceptional From the Top alumni: violinist Charles Yang, soprano Nadine Sierra, pianist Greg Anderson, trumpet player Matthew Muckey, pianist Clifton Williams, and pianist Dasha Bukhartseva. Through dramatic and detailed storytelling, Driven explores three fundamental questions: What power does music have in our lives? What drives a young person to work so hard at such a difficult art form? How are traditional notions of classical music being expanded and re-imagined? If you purchase and enjoy the book, we would greatly appreciate a review on the Amazon.com page! Please also spread the word to your friends and families. An e-book version will be available in a few weeks.